Police failed to disclose "significant information" about a loyalist gun attack that left five people dead, the Police Ombudsman has said.The attack at Sean Graham's bookmakers shop on Ormeau Road in south Belfast in 1992 was carried out by the Ulster Freedom Fighters (UFF).The ombudsman has opened new lines of inquiry into that attack, loyalist paramilitaries and a separate murder.The PSNI said it never sought to deliberately withhold the information.It said that the problem had arisen due to issues including human error, "the sheer volume of the material involved and the limitations of the archaic IT systems". The families of the victims have previously said they believe there was collusion between the killers and security forces in the betting shop shootings.No-one has been convicted over the killings. The Police Ombudsman Dr Michael Maguire said his staff became aware that police were preparing to disclose material as part of impending civil proceedings.His office then asked for that material and it helped his staff to "identify significant evidence relevant to a number of our investigations", he added. "Police have now also identified a computer system, which they say had not been properly searched when responding to previous requests for information," said Dr Maguire. "It would seem information which police told us did not exist has now been found. "The material has led the Police Ombudsman to examine new lines of inquiry into the Ormeau shootings, events connected to loyalist paramilitaries in the north west of Northern Ireland between 1988 and 1994 and the murder of teenager Damien Walsh at a coal depot in west Belfast in 1993.Police Ombudsman reports into those investigations will now be delayed.Dr Maguire said that "in the interests of public confidence in policing" he has asked Stormont's Department of Justice to commission an independent review into the methods police use to disclose information. The Committee on the Administration of Justice (CAJ) said the development showed that "the practice (of withholding information and delaying disclosure) is still continuing". "[It] is deeply shocking and the claim that it is due to human error simply insults our intelligence," it added. "The Police Ombudsman's office relies on the PSNI acting in good faith to assist it in its investigations as RUC archive material remains within its control. ""These developments clearly expose the lack of willingness or capacity of the PSNI to provide full disclosure to the Police Ombudsman to allow him to carry out independent and effective investigations. "Tommy Duffin, whose father Jack was one of those killed in the attack, said it was an "absolute disgrace". "It is a downer for the families... all we have got is knockback after knockback and this has nearly broken the camel's back. "We thought that coming here we were going to get some good news. "Mark Sykes, who was injured in the shooting, said he felt "sick, angry and lied to". "We had been told time and time again when we met Mr Maguire that he had all the information that he needed to do this report," he added. "To be told yesterday that there were documents withheld from him was sickening." The PSNI's Deputy Chief Constable Stephen Martin apologised to the families of the attack victims. "We deeply regret that the researchers responding to the Police Ombudsman for Northern Ireland's (PONI) request were unable to find and disclose it," he said. 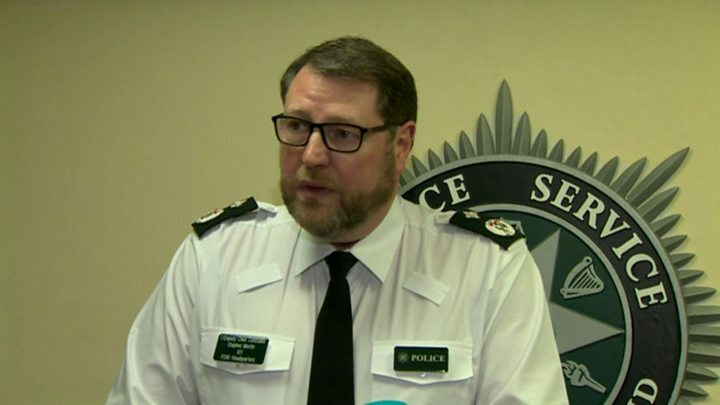 The "error became apparent", he said, when a researcher working elsewhere in the PSNI "found the material while preparing for disclosure in response to civil litigation".He said that there was a number of reasons why one researcher found the material while others did not, including "differing levels of experience and knowledge of our researchers".Mr Martin said that the PSNI's chief constable has concluded that the best interim solution for public confidence in policing would be to give "appropriately vetted" Police Ombudsman staff "full and unfettered access" to its legacy systems.He also said the PSNI hoped to make substantial changes to its procedures for disclosing information in the coming months and it welcomed any independent review of its system.A spokesperson for Relatives for Justice claimed there was a "systemic problem in terms of disclosure concerning state killings and in particular killings where collusion is a feature".Policing Board chair Anne Connolly said it was "essential" that there was "full disclosure of material to allow the Police Ombudsman's Office to do its job".She added that the PSNI's search systems and checking processed were "not meeting legislative duties around disclosure and therefore require review".In 2015, the PSNI's chief constable apologised after it was discovered that the weapon used in the Ormeau Road killings was on display in the Imperial War Museum in London.